We have just celebrated a feast of Mary! As a baby, I was baptized “Rosaria” in honor of Our Lady of the Rosary, and I entered the convent on a feast of Our Lady. As a Sister of Notre Dame, my ring is engraved with the French translation of “All for Jesus, through Mary.” All of this, and so much more, has brought me to a great love for Mary. 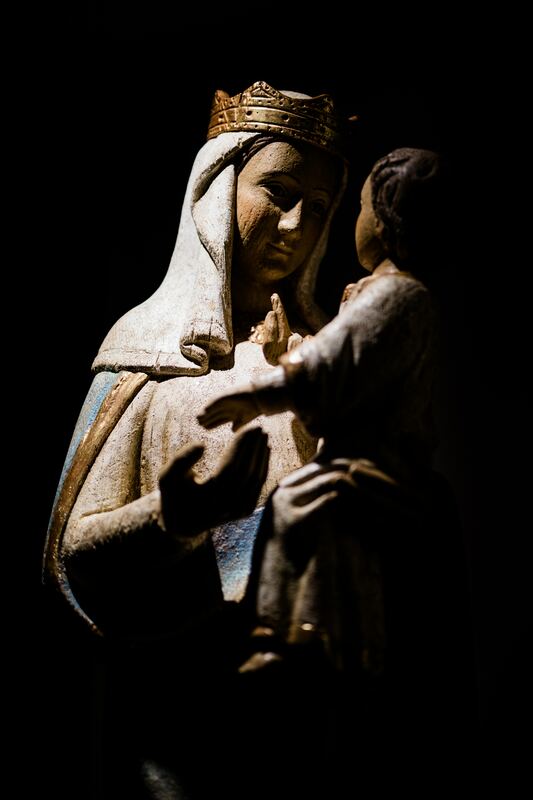 I am certain that when we have a deep relationship with Mary, one that invites us to meditate on her Son’s life, we grow in our love for Jesus—and after all, that is the whole purpose of devotion to Mary! Mary teaches so much about how to “raise a child” and live our lives! Henri Nouwen, a great spiritual writer says this about the relationship between parents and children: “It may sound strange to speak of the relationship between parents and children in terms of hospitality. But it belongs to the center of the Christian message that children are not properties to own and rule, but gifts to cherish and care for. Our children are our most important guests, who enter our home, ask for careful attention, stay for a while, and then leave to follow their own way.” Was this not true for Mary? Jesus came as a guest, needed to be cared for lovingly, grew in ”wisdom and grace,” and eventually had to leave her to fulfill his Father’s mission. Mary teaches us how to listen to the Lord, to say yes to the Father’s will for her, and to let go of whatever we need to when it is time. May we strive to follow her example in our daily living!